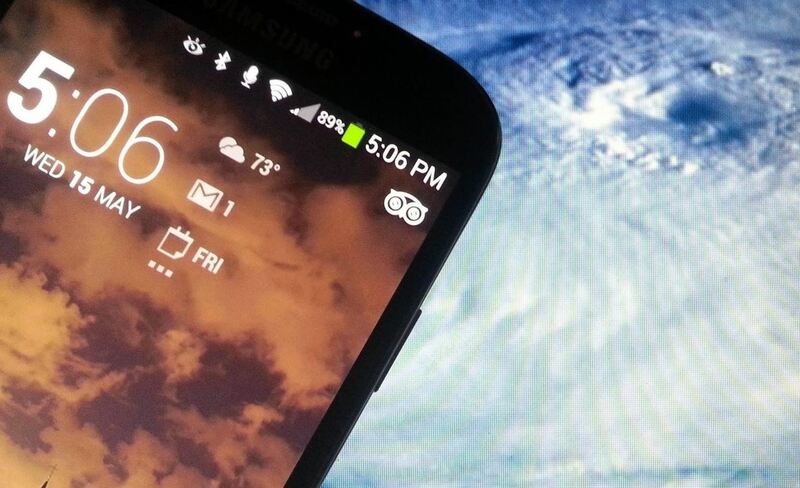 The new Samsung Galaxy S4 has something no other phone has ever had before—weather sensors. 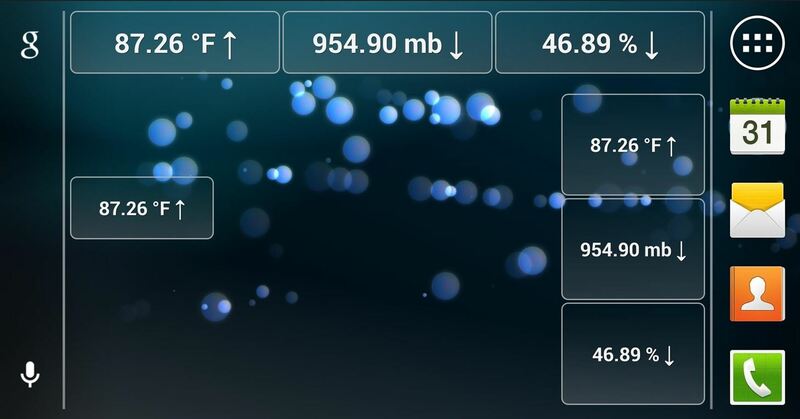 Older devices like the Galaxy Nexus, S3, Note, and Note 2 do have a atmospheric pressure sensor, aka a barometer. 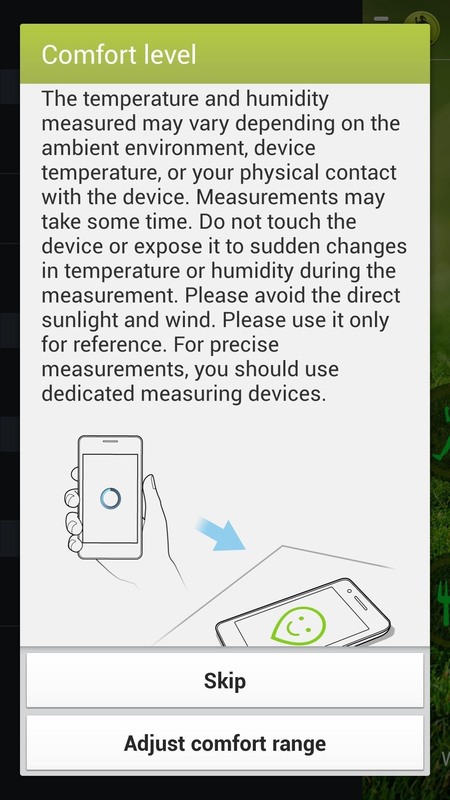 However, they do not have a thermometer or hygrometer like the GS4 does, which measures ambient temperature and humidity. 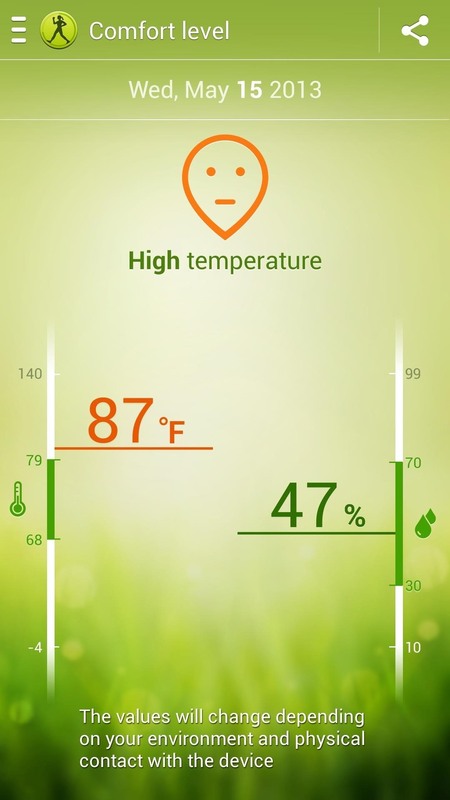 As intuitive as the sensors could be, their function has actually been buried inside the S Health app on your GS4. 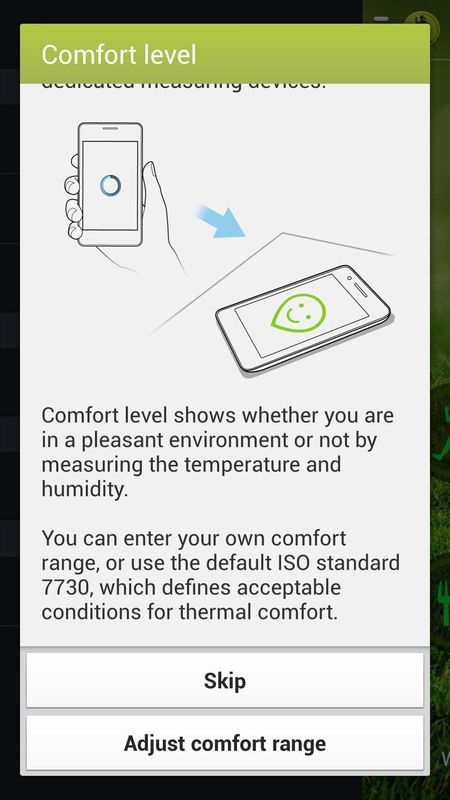 The app uses these measurements to tell you if you're in your "comfort zone" or not, and the device uses the ISO 7730 standard to determine your comfort level, but you can personalize it to your liking. Clearly, I am not in my comfort zone! The pedometer and food tracker are really cool, but don't I already know when I'm comfortable? The short answer is yes, of course, but Samsung wants you to get the current status of your surroundings for your activities. That means they want you to know if you're in a safe environment to work out. 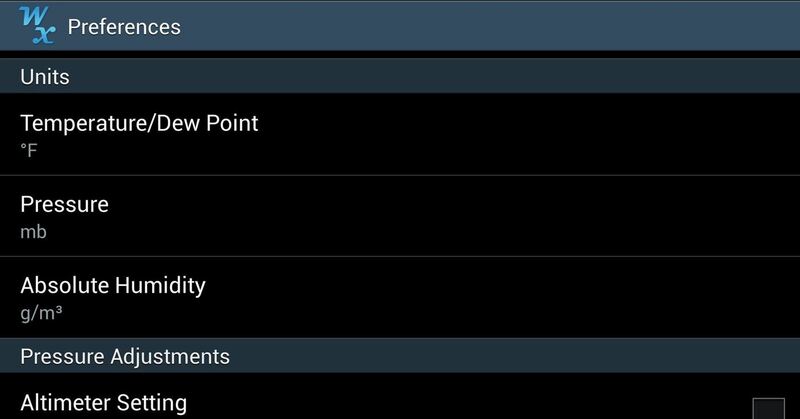 But just because they packed all of these sensors in the S Health app doesn't mean we SoftModders can't do something about it. A much better use of the ambient temperature and humidity sensors would be to use them as a personal and portable weather station. 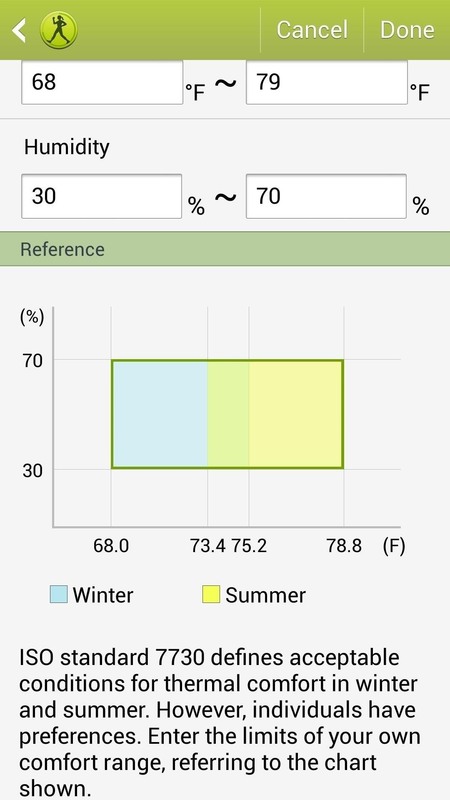 Which is exactly what Android app developer A-Minor thought when he created Weather Station, a free (and ad-free) app that utilizes your new sensors to their fullest potential. 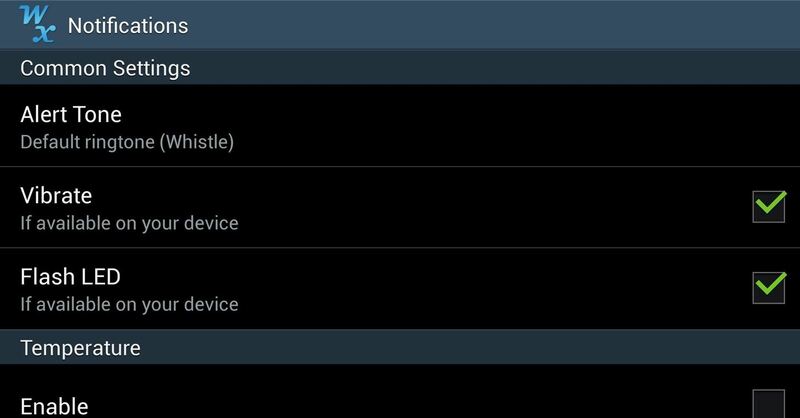 As A-Minor states, the code for these sensors was implemented by Google back in Android 4.0 (Ice Cream Sandwich), but it wasn't until the GS4 that a manufacturer decided to use them. That being the case, aside from S Health, this is one of the only few apps that put these sensors to work. • Graphs with details including 24 hour and 7 day high and low readings. • Notifications and alerts when certain variables are met (i.e. temp over 90°). • Ability to change units for temperature/dew point, pressure, and absolute humidity. • 3 widget sizes with 3 style choices. • Indicators for rising, falling, and steady readings. • Export background readings to a .txt file. Remember, the app is fairly new the developer is constantly updating. Stay tuned for future improvements!